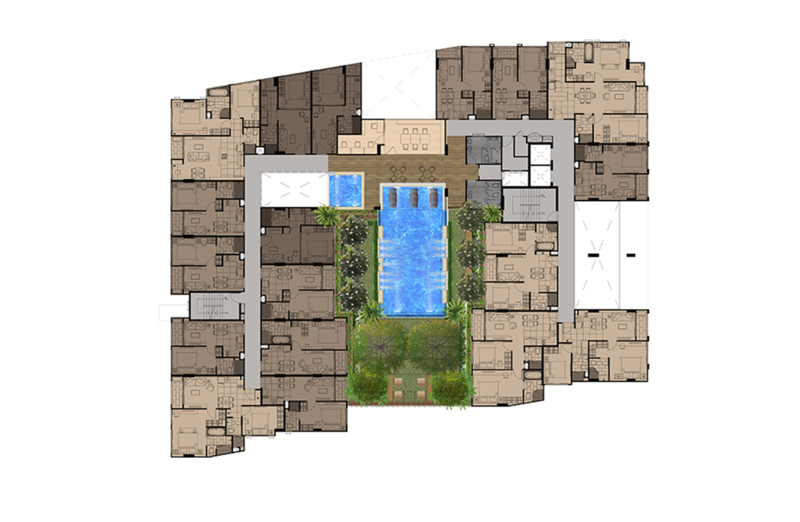 Experience a luxurious condominium living on the best location for all aspects of your life, both for the business and living pleasures. 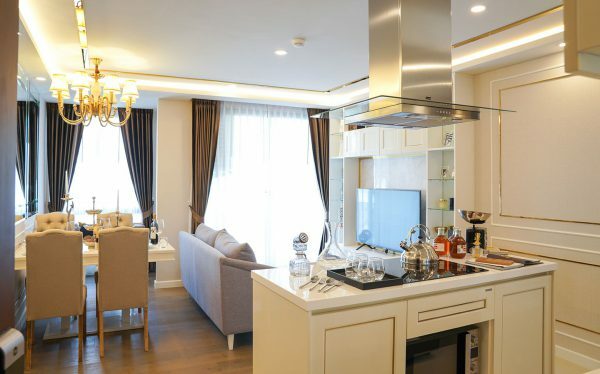 Fulfill all your living requirements in the heart of Ratchada-Huay Kwang area, surrounded by many facilities for a truly modern urban lifestyle. 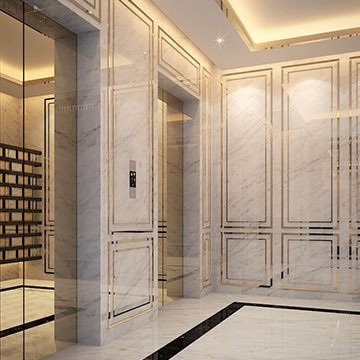 Let you step towards a greater success than ever with Amaranta Residence and live a perfect life in the heart of the city that reflects the success in life created by yourself from the timeless luxury design with state-of-the-art facilities. 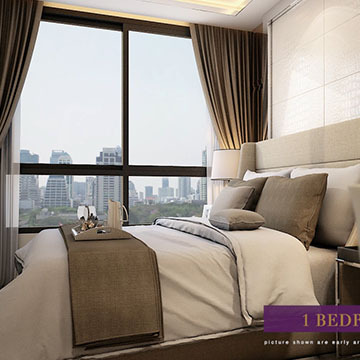 Create your definition of success in the mid of Ratchadapisek Road, a prime location with strong growth potential as Bangkok’s new Central Business District (“CBD”), and live a luxurious life that will last infinitely at Amaranta Residence. 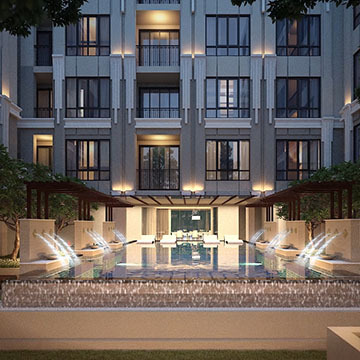 An outstanding architectural design, Amaranta Residence is carefully crafted under Modern Timeless Luxury concept, offering a unique living experience with refinement in every steps. 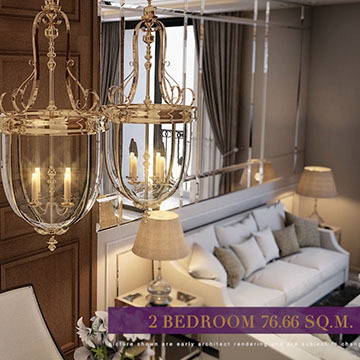 All standard decorations and room furnishings feature premium quality design and materials from leading brands to ensure to all aspects of your living quarters would be impressed with everlasting luxury. 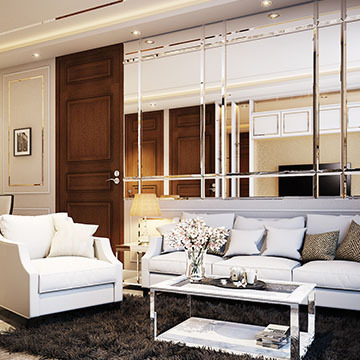 At Amaranta Residence, you can now fulfill your life with convenience and comfort more than ever with digital door lock and home automation technology, controlling your lighting and air conditioning remotely while outside your residence through smart phone for the maximum comfort and security. 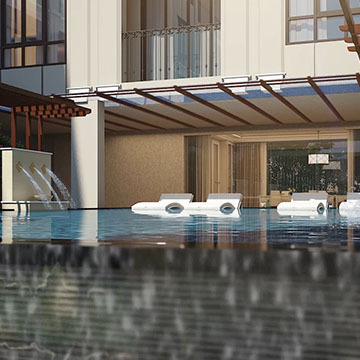 Every minutes of your rest at Amaranta Residence will be a truly enjoyable experience you deserved. 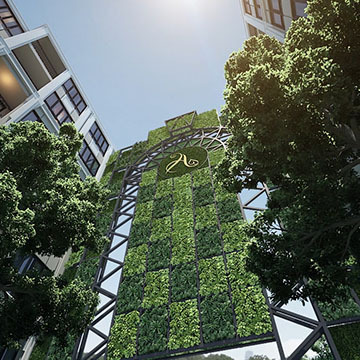 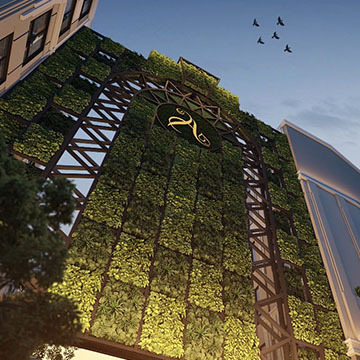 All facilities are designed under the concept of “Urban Oasis” that will create a classy urban oasis atmosphere filled with water, greenery and state-the-art technologies that will impress tenants and visitors alike. 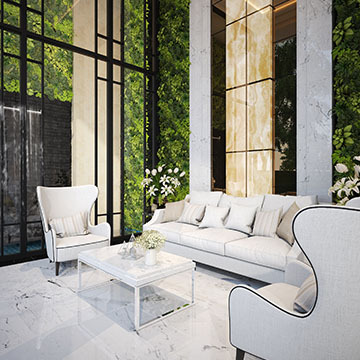 Double Volume Lobby, Green Wall Vertical Garden, Poolside Reflexology Garden and the freshness from our Waterfall Garden are designed to maximize green area and create a pleasing and relaxing atmosphere as if you are the mid of the nature where you can breathe in fresh air everyday. 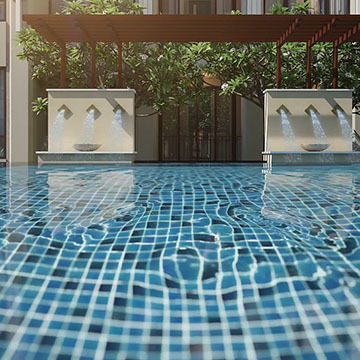 Our salt-water swimming pool system has a separate pool for children with poolside reading lounge that provides you the private peaceful corner while watching poolside activities. 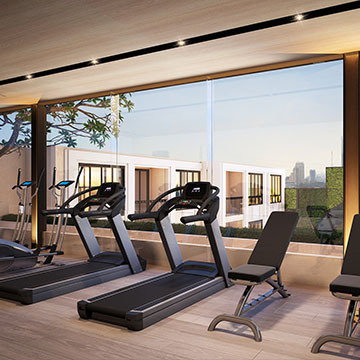 At Sky Fitness and Garden, you can enjoy a breathtaking view of the city while exercising everyday and your safety will rest assured with 24-hour security guards and CCTV cameras. 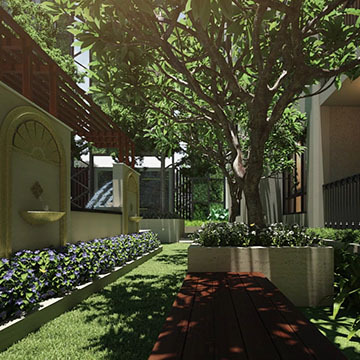 Our Green Innovations feature green building design and state-of-the-art energy saving equipment, including inverter air conditioning from DAIKIN, solar rooftop system from FirstSolar, USA, and double layers laminated glass window for the safety and heat protection as well as sustainable consumption of energy. 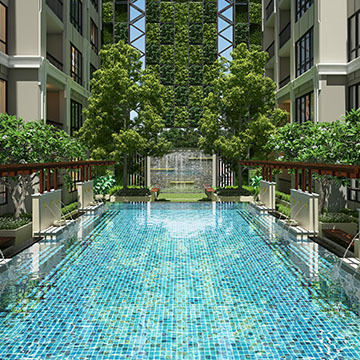 Exclusive privileges for Amaranta Residence tenants only. 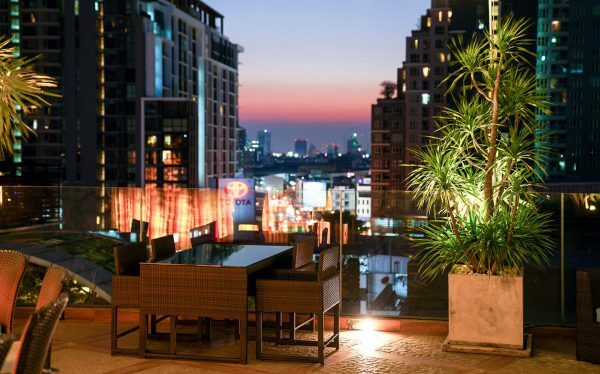 At Amaranta Residence, you can live a truly luxurious life with first class services at your finger tip through our complementary services with Amaranta Hotel, a top-rated hotel in Ratchada HuayKwang area. 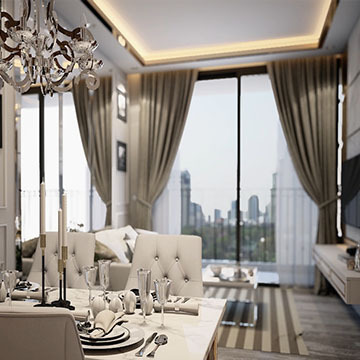 All tenants can enjoy excellent services of Amaranta’s concierge team throughout 24 hours. 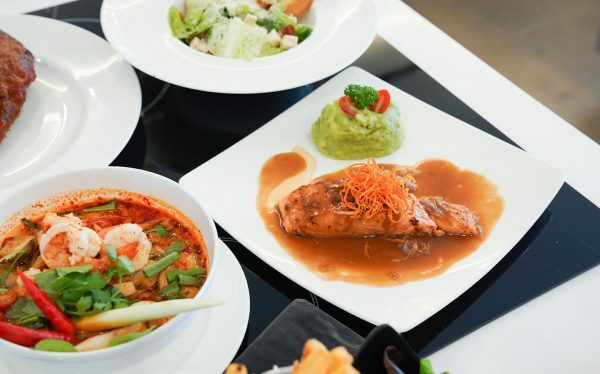 For convenience, you can order in-room dining service and arrange your room will be thoroughly cleaned through our housekeeping service and laundry service as if you are staying at Amaranta Hotel. 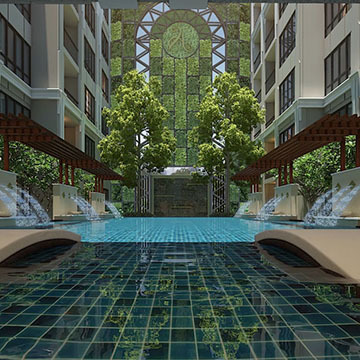 All of these extraordinary services are of Amaranta Hotel service standards. 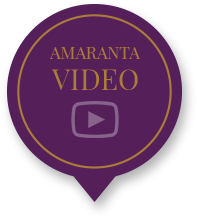 In addition, your Amaranta Member Card will be honored with special discount for hotel services and room rates at Amaranta Hotel. 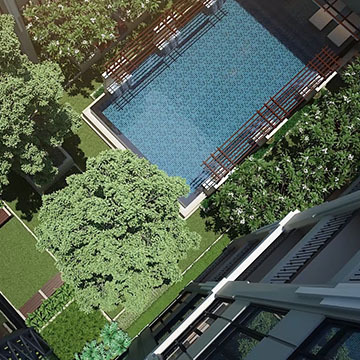 Only Amaranta Residence tenants can enjoy these very special privileges. 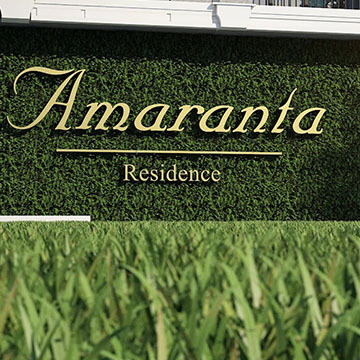 Amaranta Residence is now ready to take your luxury lifestyle to perfection, reflecting all successes in life you have achieved. 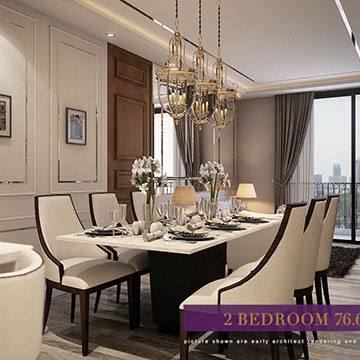 Located at a high growth area on Ratchadaphisek-Huay Kwang Rd., Amaranta Residence features state-of-the-art facilities in the heart of the city with timeless luxury design, excellent interior and exterior, and premium quality materials to reflect your luxurious lifestyle. 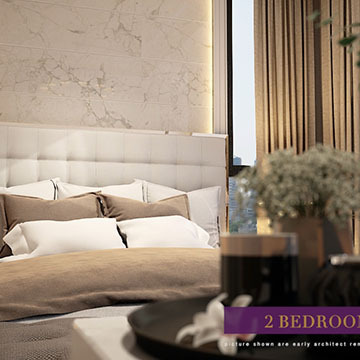 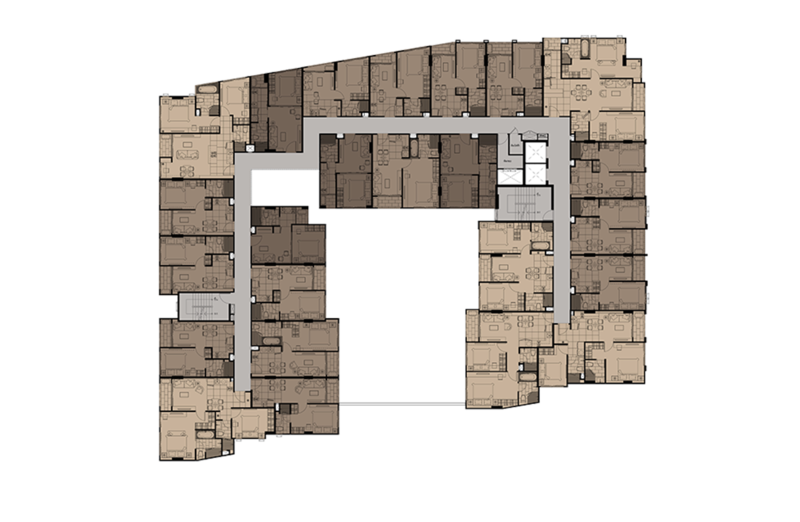 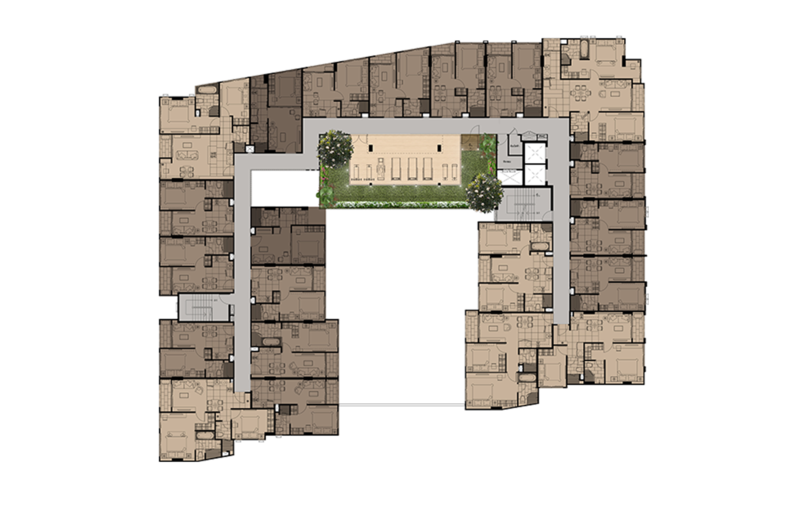 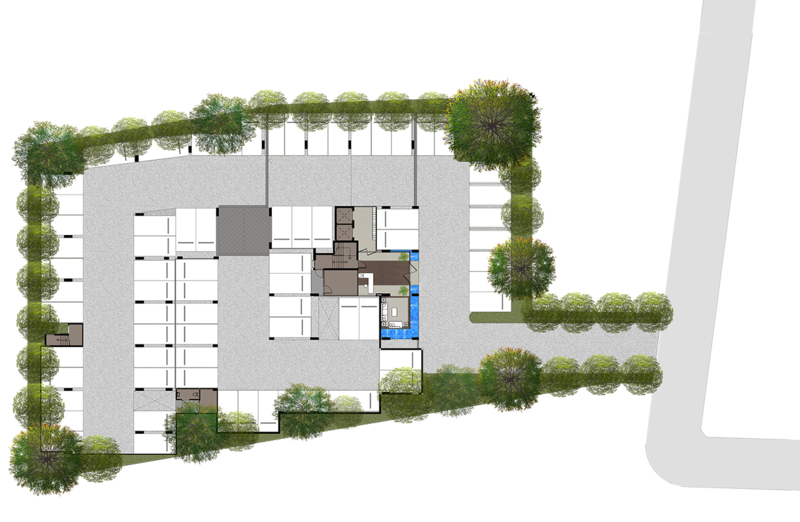 Every areas and every square meters are carefully crafted to create a pleasing and relaxing living space that will fill your life with comfort and safety more than ever. 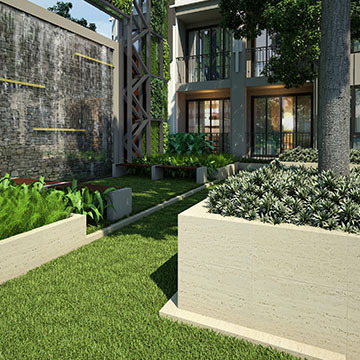 Our Urban Oasis amenities will make you feel closer the nature. 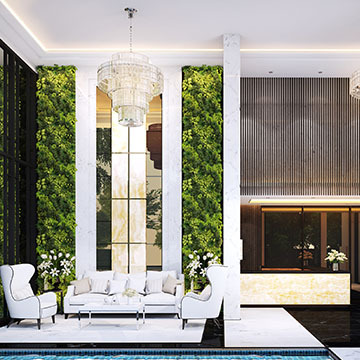 Surrounded by Green Wall Vertical Garden and Reflexology Garden, you can relax your body in the swimming pool, exercise at Skyline Fitness as well as enjoying quite moment at Poolside Reading Lounge. 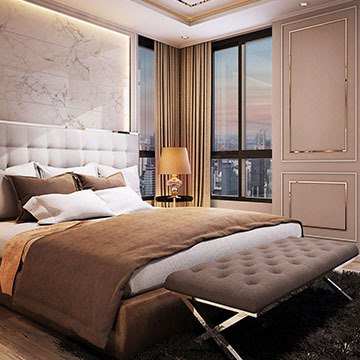 You will enjoy increased comfort and safety from home automation system, 24-HR security system, concierge and special services privileges from Amaranta Hotel, a leading hotel renowned for services quality. 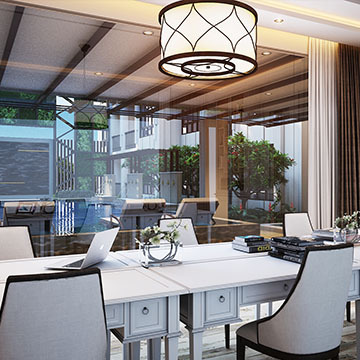 Your success in life can be reflected and created by your own here at Amaranta Residence. 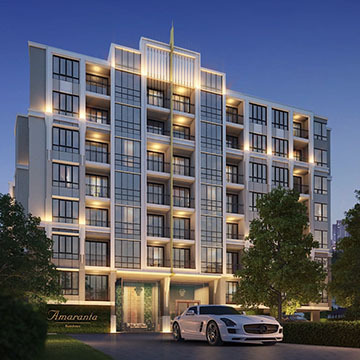 Amaranta Residence is located on a prime location with high growth potential in Huay Kwang-Ratchada area, Bangkok’s new CBD. 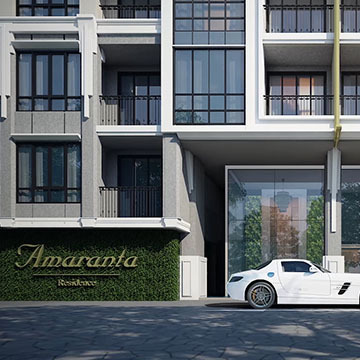 Travelling to Amaranta Residence can be made conveniently from MRT, only 150 meters away from Huay Kwang MRT station, by walking or Amaranta’s special shuttle service to and from Huay Kwang MRT station.  Travelling by car also easy via Rama 9 Rd., Asoke Rd., Lat Phrao Rd., Vibhavadee Rd. 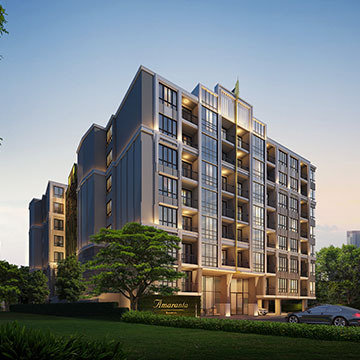 Travelling in and out of the city can be made quickly through Rama 9 Expressway and the shortcut that can go through Meng Jai Junction, along Ekamai-Ramintra Expressway and Kaset Navamint Rd. 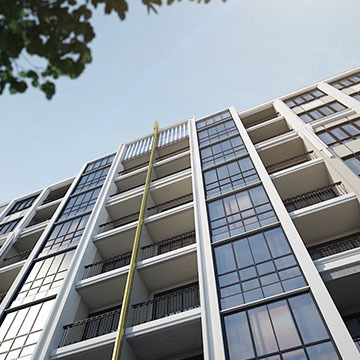 Surrounded by many office buildings, shopping malls, community malls, restaurants and leading entertainment centers, the area is such a prime location that future property value would be endless. 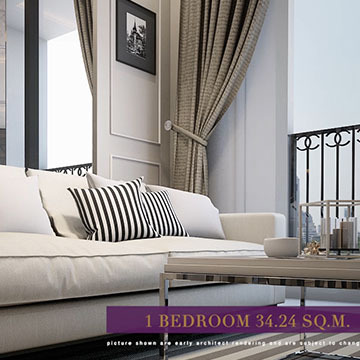 Colorful, lively and fascinating surroundings that will meet all of your lifestyle needs, Ratchadaphisek-Huay Kwang Rd. 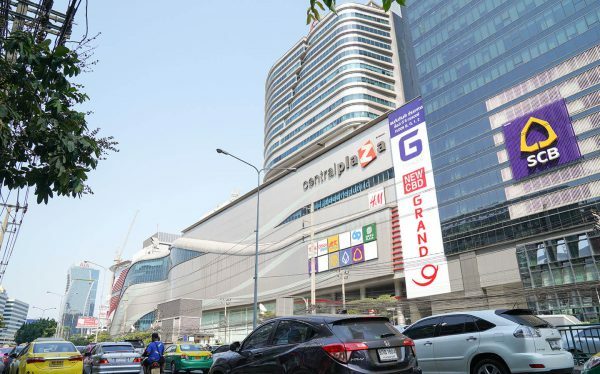 is Bangkok’s new trendy city center where diverse lifestyles’ needs will be met with arrays of leading shopping malls, restaurants and world’s famous night life places. 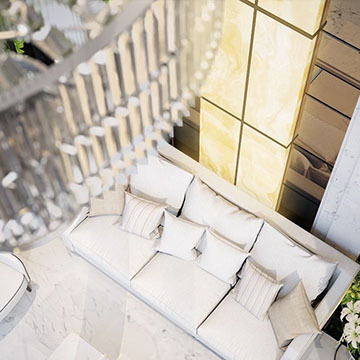 This area uniquely blends city lifestyles with remarkable luxury and endlessly infatuated charms.